When blockchain and cryptocurrency first made headlines, many saw them as disruptors to the current financial order. This is because transactions that involve cryptocurrencies remove the need for an intermediary - a role banks and other financial institutions have traditionally filled. In the region, Indonesia has been at the forefront of blockchain technology. In fact, Indonesia was probably the first country in the region to actively utilise blockchain technology. In January this year, Bank Indonesia (BI) announced plans to launch its own digital currency that is backed by blockchain technology. It would work just as how cryptocurrencies function since it relies on blockchain technology. However, unlike cryptocurrencies which are decentralised currencies, the digital rupiah will be issued by the country’s central bank, BI. Indonesia is hoping to be the first country in the world to launch a digital currency. BI’s relative friendliness towards blockchain has emboldened Indonesian banks to explore possibilities with blockchain too. According to reports, five major banks – Bank Negara Indonesia, Bank Rakyat Indonesia, Bank Mandiri, Bank Danamon and Bank Permata – are toying with the idea of implementing blockchain in their systems. According to the World Bank, Indonesia is ranked 14th in the world for receipts of migrant remittances, with an estimated US$10.5 billion sent home from workers living abroad. Remittance is the transfer of money by a migrant worker to an individual in his or her home country. More often than not, these transfers are done through banks or financial intermediaries such as Western Union who take a percentage from the transactions. With blockchain technology, Indonesia’s share of remittance revenue could swell as blockchain removes the need for an intermediary party (i.e. bank), thus allowing for an efficient and free transfer of funds. Blockchain’s strong security features can also ensure a safe and secure voting process. Horizon State, a blockchain company that focuses on community empowerment recently announced a strategic partnership with Dr Marzuki Usman, the former chairman of the Jakarta Stock Exchange and fintech firms Morgan De Vere and MCV-CAP to provide blockchain services to Indonesia. Horizon State specialises in secure community engagement. The platform that the company provides allows people to democratically collaborate by providing a tool that allows for tamper-proof voting systems. This ensures that the decision-making process in a particular workplace, community, or constituency is efficient and transparent. 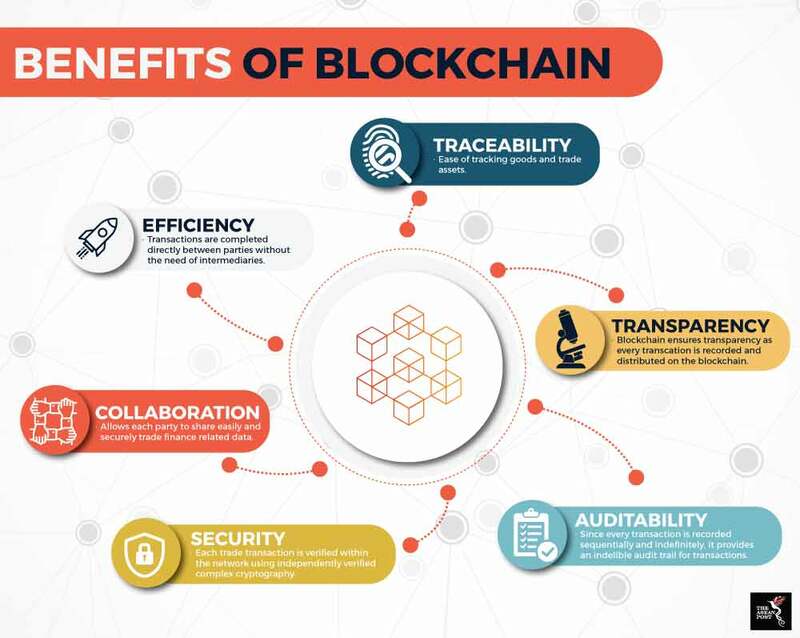 Indonesia is also a nation with many small businesses, and the introduction of blockchain could enhance that sector. Many small enterprises in Indonesia are not able to deploy digital payment mechanisms due to the high costs set by credit card companies or banks. Blockchain provides enterprises a cheaper and less bureaucratic alternative to that. The blockchain community is growing in Indonesia, so much so that an Indonesian Blockchain Association has been established. The association was founded by six blockchain companies with operations in Indonesia. Last week, the association along with other organisations such as the Chamber of Commerce and Industry Agency for Creative Economy, and Hara (a blockchain project for social impact) came together to launch Indonesia’s first blockchain hub. The Indonesian Blockchain Hub will bring together the local blockchain community and serve as a platform for collaboration and networking between various Indonesian and global blockchain projects.